Tim Berners Lee was recently awarded the Turing Award (The ACM A.M. Turing Award is an annual prize given by the Association for Computing Machinery (ACM) to “an individual selected for contributions of a technical nature made to the computing community”). On receiving the award Berners Lee gave two message to the users of his invention that we all use every day. The World Wide Web needs a complete rethink to prevent spying and the spread of “nasty, mean ideas” on social media websites. You may have noticed the web has drastically changed since we first started using it. Advertising pop-ups are around every corner. Tailored directly at you because of the content you access online. Worms, trojans and viruses are spread by these advertising companies to infect our devices so that their ads get seen by more people. What Berners Lee was telling us is that corporations have muscled in on our free internet. But that was not the only message he conveyed as he received his well deserved and long overdue award. He also talked about the ever growing intrusive powers government are wielding to control our free space. 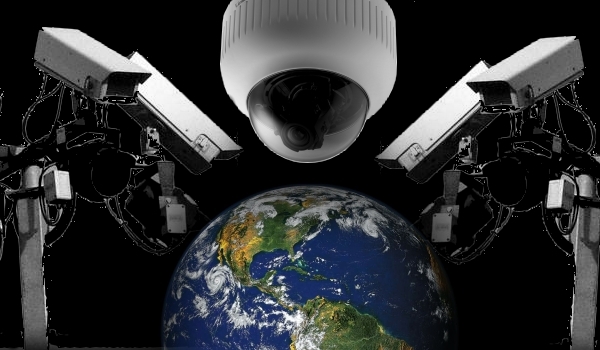 Vast amounts of our data is being swept up by surveillance bodies that are governments own. TheU.K Government has recently passed laws that permits them to spy on any citizen without written consent from a judge. Violating the privacy of everyone in the country. This law was virtually unopposed. The N.S.A in the U.S have a motto: “Collect It All” referring to the data they collect. All means all. Every post, message, photo or web search you have ever made. So corporations are looking to cash in on us, ISP’s are selling our privacy and governments want our data to find out who we talk to and when. This is the power of surveillance perpetrated by those with big bank accounts. Is this the internet we want? Are we going to allow big corporations and governments to continue to take steps to protect themselves or cash in on us? If you don’t think these issues are important, you are part of the problem. Berners Lee gave us, as a humanity, a chance to break down borders and connect with anyone, anywhere around the world. It’s no wonder people embraced it and within no time it worked, almost flawlessly. There was no government restrictions, no ads to infect our devices. It was a symbol of freedom. Actual freedom. All of us from just one planet that found that other cultures had similar interests to ours and that we had the choice of free speech. Even now it’s a huge educational tool and vital to most students these days to get through college. But slowly our freedoms have been evaporated. We have let governments and corporations take our freedom away, a lot done quietly in fairness to them, but not all. Recently president Trump rolled back an Obama law that prevented your internet service providers from selling your data to advertisers, or the highest bidder. Alarms should be going off in your head when this violation of privacy happens. The U.S government now wants to have more laws restricting our internet freedom. This is just the first of many laws, and if it gets passed, we will lose an amazing thing. Future generations will move away from the internet because of the restrictions and violations of privacy these laws will achieve. And slowly our free speech, connecting to the world, online friends, educational tool, will be no more. That is a scary future to me and I hope it is for you also. We can’t let those in power control our internet and this, I believe, was the most important message of Tim’s speech. For now, there are a few ways to protect ourselves. But we should not need to use such measures. Encryption is the biggest headache of large corporations and governments. Use it often. Web searches for stuff you find personal and don’t want anyone to see is simple. TOR. Download the browser here, open it and search, simple. No more ads tailored to your internet searches. If you can’t be bothered doing that at least use DuckDuckGo as your search engine. Your search history is not kept on their servers. Phone messaging: Lots of apps. Signal being the one of personal preference, but WhatsApp are doing end to end encryption now and more vendors are installing it to their software. Make sure your messaging app does too. Support net neutrality, this is vital for our freedoms and one of the most important things we can do to protect our civil rights online. Berners Lee is a hypocrite. He allowed Hollywood to take over the W3C with EME. His latest ideas for Net Neutrality and a new decentralized web is good work though and he must be commended for that, regardless of his past.